We are Manufacturing a wide range of heavy duty pallet racks in Delhi India, our Pallet Racks are made using high quality raw material. 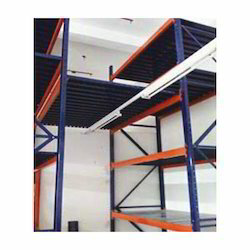 These Pallet Racks are widely used in Industrial Warehouse and in various industries for storage purpose. Our heavy duty pallet rack is easy to install, simple and maintenance free. This can be customized as per clients specification. Heavy Duty Pallet Rack most widely spread pallet storage system that market. It is widely specified in virtually most of industry and easily adapts to the vast and full range products need to be stored. It is most popular form of storage for palletized goods. By using our vast range of our accessories and our design experience, we can specify the pallet racking configuration to exactly meet your storage needs. Some advantages of heavy duty pallet racks include direct access to all stored pallets, handling of one pallet only without the need to move others, easy stock control, and load flexibility, both in terms of weight and volume. We pay extra attention in the development of upright frame and beam that are the main components of a selective pallet rack. Assembly is fast and easy with no nuts, bolts or shelf clips required. 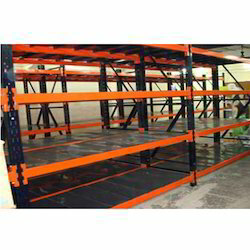 Heavy Duty Bulk Racks can be ordered by components or by units with two shelves additional shelves are available. Two-unit shelves require no bottom shelf for storage. Add-on units are also available.